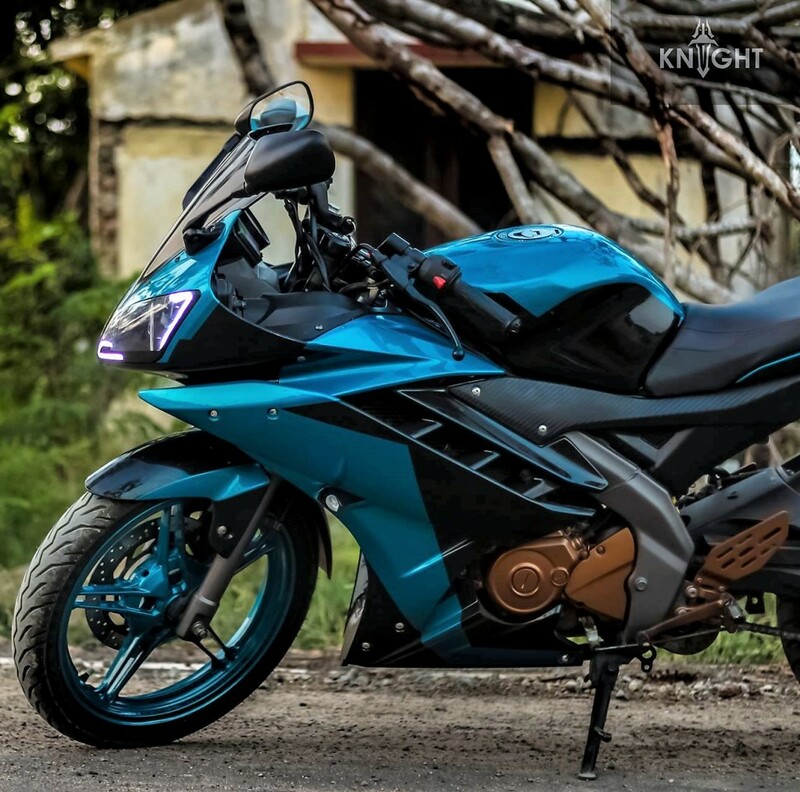 R15 Lagoon Blue & Gloss Black Edition by KAC: Yamaha R15 is definitely one of the best designs ever introduced in the Indian market. 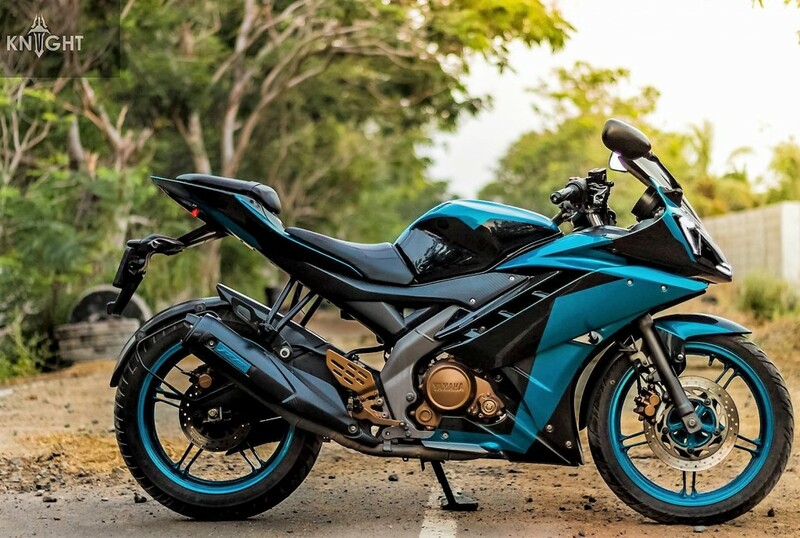 It has been kept mostly unchanged from nearly a decade while still, it can beat hundreds of others in the Indian market with its single glimpse. 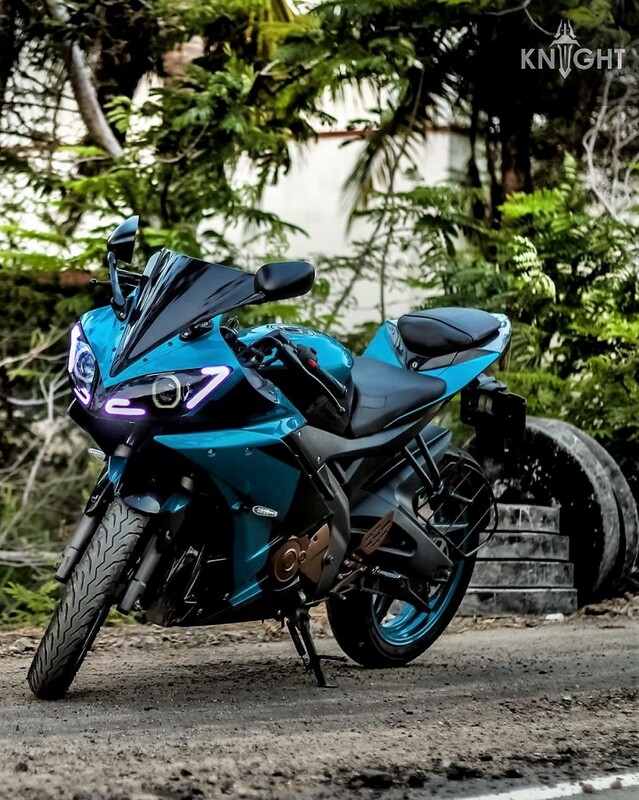 Knight Auto Customizer recently worked on the second generation R15 and brought a beautiful color scheme through their custom paint job. 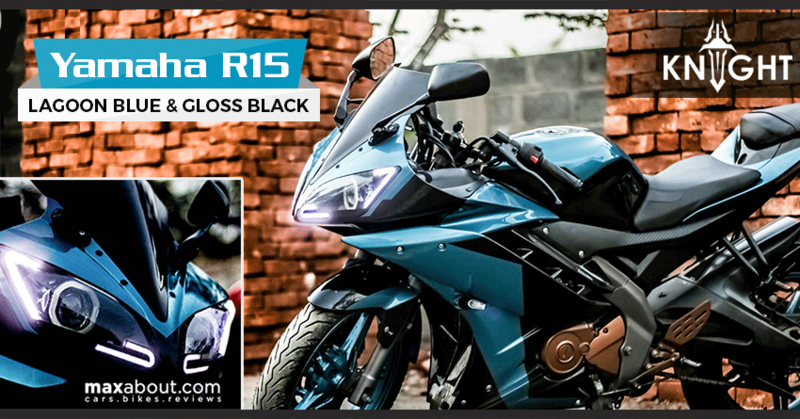 The selection of Black and Cyan further makes it the best looking R15 around the country. The fuel tank gets Gloss Black paint on the sides while upper side of the same is finished in Cyan. 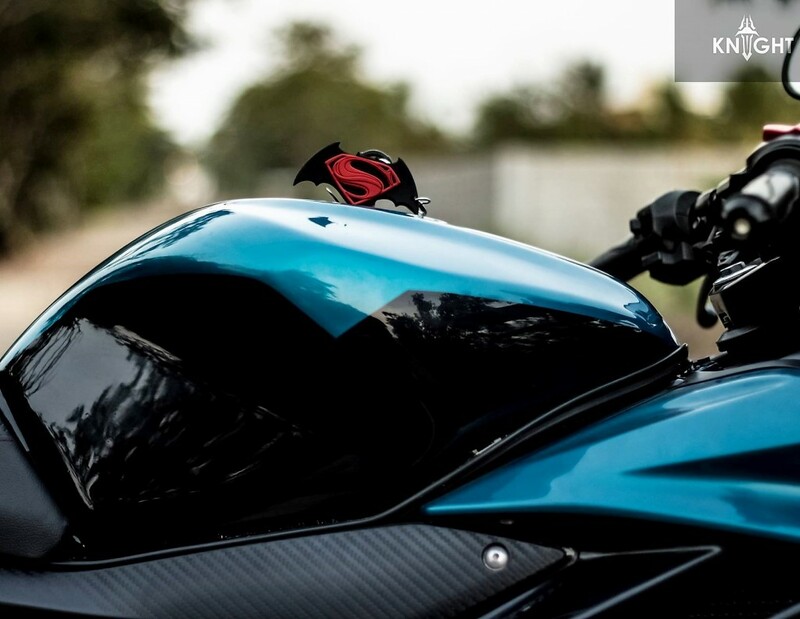 The outer fairing is further divided through the Cyan design over the base Black shade. The visible engine components and foot pegs are finished in Golden shade. 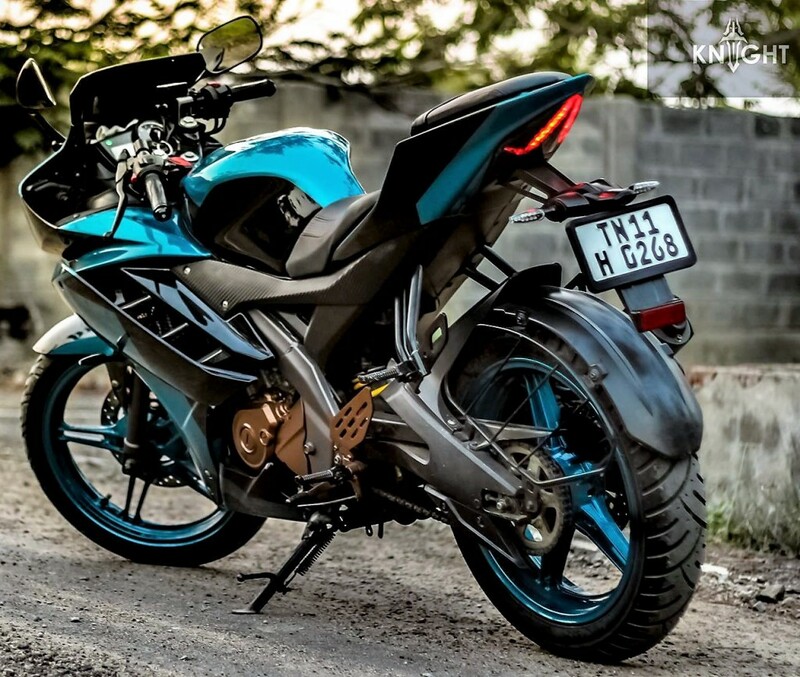 The use of Cyan further extends to alloy wheels and front fender. 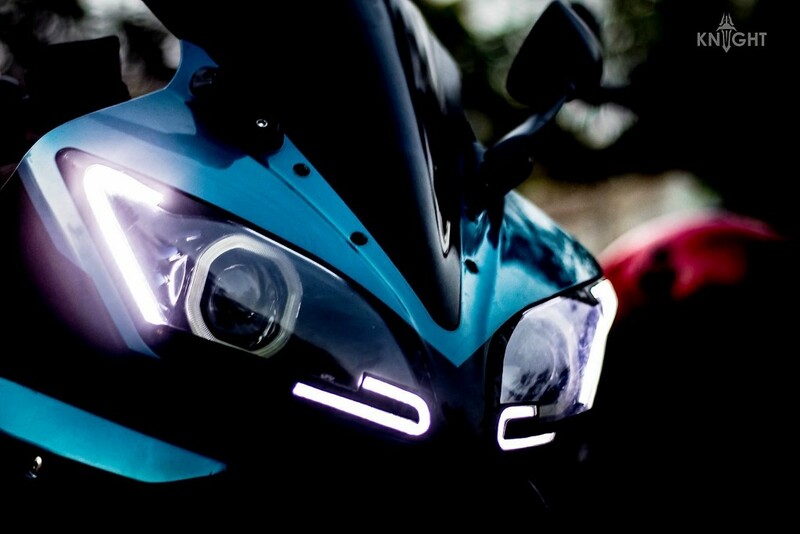 The motorcycle gets beautiful front projectors with LED daytime running lights on both the corners. The front visor gets finished in Gloss Black. 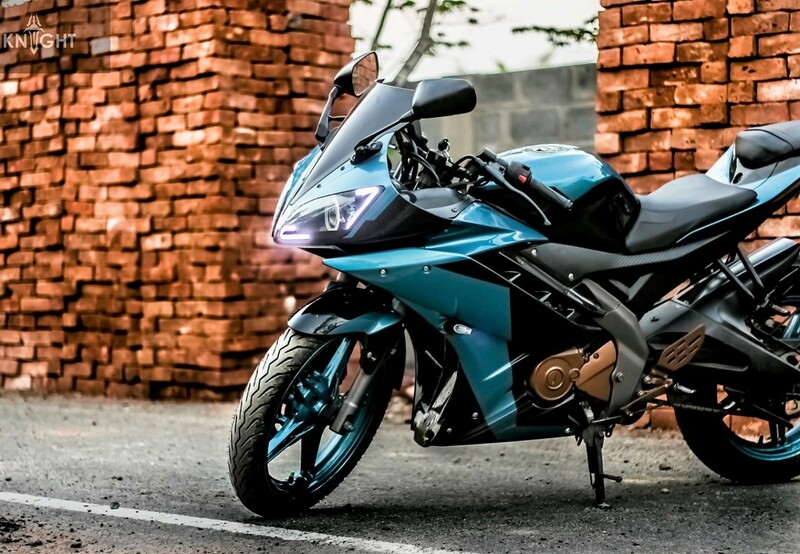 Yamaha R15 is powered by a 149 cc, single cylinder engine producing 16.8 BHP and 15 Nm of torque. The engine comes mated to a 6-speed gearbox and comes with liquid cooling as well as fuel injection. 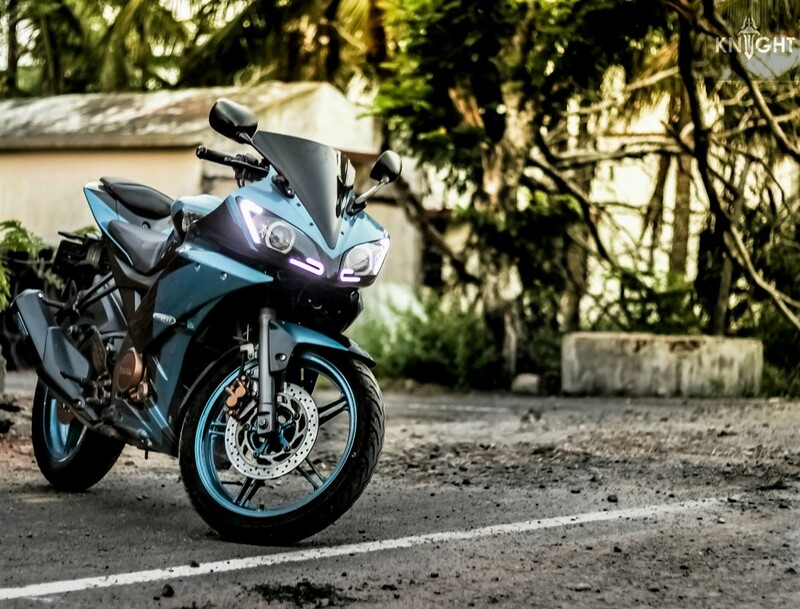 The motorcycle cost INR 1.19 lakh for the second generation model, INR 1.25 lakh for Version 3.0 while the R15S can be bought for INR 1.15 lakh.